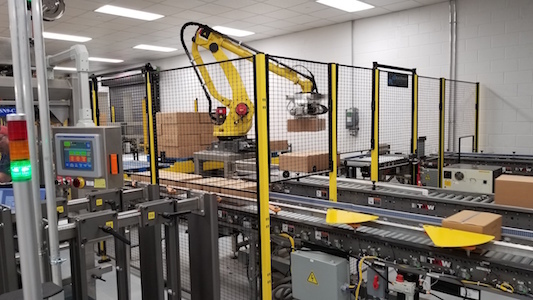 In our more than thirty years of business, NCCAS has provided turnkey conveyor systems for consumer packaged goods producers in all industries. 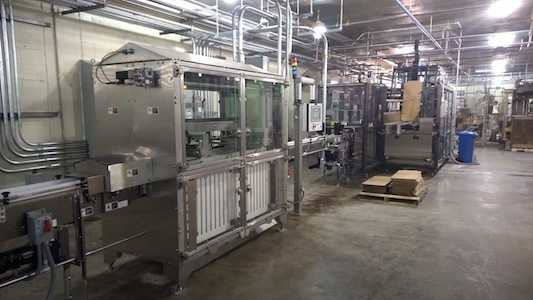 We provide both sanitary and non-sanitary conveyor systems, and we help CPGs plan, evaluate, and design solutions for their automation processes. Consumer packaged goods producers don’t have time to waste training a vendor who is new to their industry. That’s not an issue with NCCAS. Our experience speaks for itself. INDUSTRY KNOWLEDGE: We have experience across a multitude of industries, giving us exposure to new ideas, innovations, and industry knowledge we can apply across other industries and processes. LINE INTEGRATION: We’re experienced with integrating lines. WORLD-CLASS OEE: We’re experienced with optimizing line performance delivering world-class OEE. 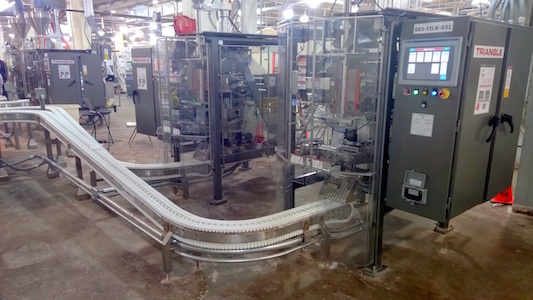 Because we’re doing turnkey packaging lines, we will guarantee the OEE on that line! Our team is trained to think about “what happens when…” and “what if we could…” – and this gives us a critical advantage we put to work for our clients. We understand what needs to happen between two systems to optimize the line production and positively affect Overall Equipment Efficiency (OEE). When our clients measure the performance of their line, we’re looking at the same measurement to guarantee it’s an efficient system. These are just a few of the industries we’ve handled in automation projects. Our wide breadth of knowledge gained allows us to apply what we learn to other industries, sharing innovations, ideas, and efficiencies with other CPG producers. This is knowledge our clients may not otherwise have gained. Fast Conveyor System Deployment: We can deploy turnkey automation systems at a faster rate. We build, wire, debug, test, and get it out the door faster thanks to our efficient process. Minimize Downtime: We have the trained staff available to service a breakdown or immediately courier parts to your factory in the event of a failure. Recover Quickly: We train your operators and maintenance staff to quickly get your conveyors and machinery back online. Agile Solutions: We’re a truly agile company. We come up with solutions and execute those solutions faster than our competition. Thorough, Detailed Proposals: Our customers have confidence in our abilities because we describe the entire system thoroughly ahead of time. Not only that, but our proposal is easy to understand, on-time, and clearly budgeted for our customers. They know can expect the same from the equipment we install. We’re a project-oriented integrator and we’re very experienced - so our process is well-defined. It’s been validated to be successful. We’re repeating and executing a repeatable, known, and dependable formula. That’s why CPGs choose to rely on our experience, expertise, and positive reputation. I know I speak for the entire team here at Unilever then I say thank you for a job well done! The total installation from start to finish took less than three weeks, which included training for the operations people, this was a remarkable accomplishment and I congratulate the fine people at NCC.